Fact: NATO claims are Big Lies. Fact: No verifiable proof supports them. Fact: Russia remains discretely neutral. Fact: It’s gone all-out for diplomatic conflict resolution. Fact: Washington sabotaged its good faith efforts. Fact: It continues doing so. Fact: It uses Ukraine as a convenient proxy to further its regional goals. Fact: Both countries wage war on freedom. Fact: They consider it a four-letter word. Fact: They want it avoided at all costs. Fact: Russia didn’t invade Ukraine. Fact: Its troops aren’t involved in fighting. Fact: It hasn’t armed Southeastern Ukrainian self-defense forces. Fact: US-led NATO bears full responsibility for global instability, lack of security and high crimes against peace. Fact: It’s a killing machine. Fact: It’s a humanity-threatening cancer. Fact: It ravages one country after another. Fact: It’s guilty of genocidal crimes of war and against humanity. Fact: Claiming NATO’s Distinctive Partnership with Ukraine “contribute(s) to building a stable, peaceful and undivided Europe” is pure fantasy. US Defense Secretary Chuck Hagel praised Kiev’s war without mercy on its own citizens. John Kerry held bilateral talks with Ukraine’s oligarch president Petro Poroshenko. He lied claiming Washington and Kiev want peace. Poroshenko prioritizes nationwide hardline rule. He wants freedom crushed. He wants his own people exploited. He wants NATO membership. He wants what Russia won’t tolerate. Sergey Lavrov warned Washington against imposing its will on Russia. Any attempts to end Ukraine’s non-aligned status will “derail all efforts at initiating dialogue with the aim of ensuring national security,” he said. Washington is Russia’s strategic adversary. It’s on a fast track toward direct confrontation. Events today are uncomfortably similar to those preceding WW I. Few then imagined world war. History has a way of repeating. “We face new and evolving dangers,” he claimed. UK Foreign Secretary Philip Hammond urged imposing new sanctions on Russia. 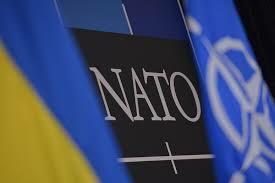 NATO members pledged support for Ukraine. They’ll provide 15 million euros in military aid. Aid includes “high precision weapons.” NATO prioritizes war, not peace. Supreme Allied Commander Europe General Philip Breedlove said lethal and nonlethal aid are coming soon. Its diplomatic correspondent Jonathan Marcus said the summit comes during the most serious European security crisis since the end of the Cold War. He left unexplained that US-led NATO bears full responsibility. Russia is wrongfully blamed. Senior Defense Ministry General Yury Yakubov wants Moscow’s military doctrine updated to reflect current threats. They include positioning thousands of NATO troops close to Russia’s border, establishing a brigade-sized rapid reaction force, assuring it can be deployed on short notice, and expanding NATO to include all former Soviet Republics and Warsaw Pact countries. “First and foremost, the likely enemy of Russia should be clearly identified in this strategic document, something absent from the 2010 military doctrine,” said Yakubov. They represent humanity’s greatest threat.